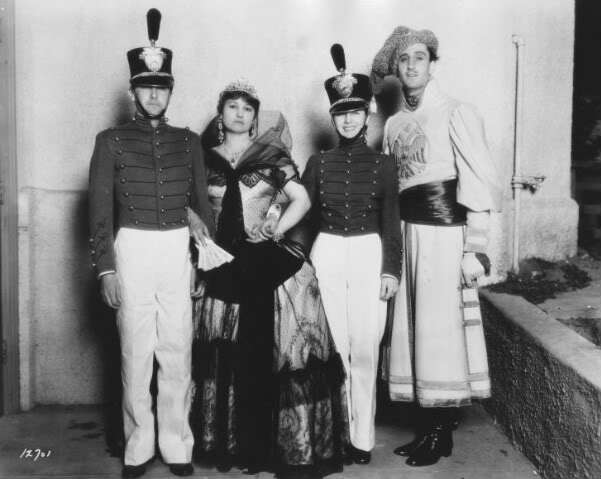 TINTYPE TUESDAY: Classic Film Stars at Their Fabulous Costume Parties! Welcome to another edition of TINTYPE TUESDAY! 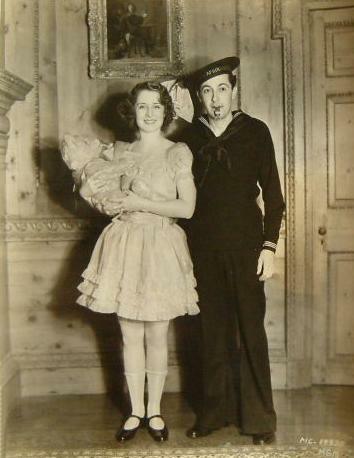 Happy Halloween, my fabulous family of classic film friends… and what’s Halloween without a costume party or ten? 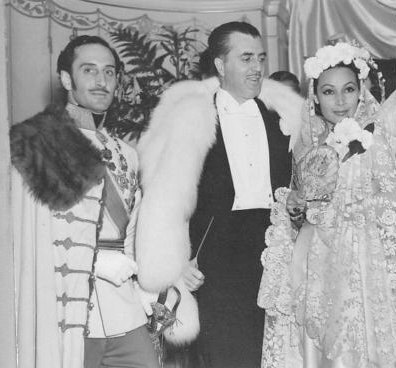 If this were the 1930s (and let’s face it, in our hearts, it is), we’d all be heading off to a dress-up ball at William Randolph Hearst’s place in San Simeon, where Marion Davies would be holding court, or Marion’s seaside villa in Santa Monica, or Basil and Oudia Rathbone’s ivy-covered hideaway in Los Feliz. 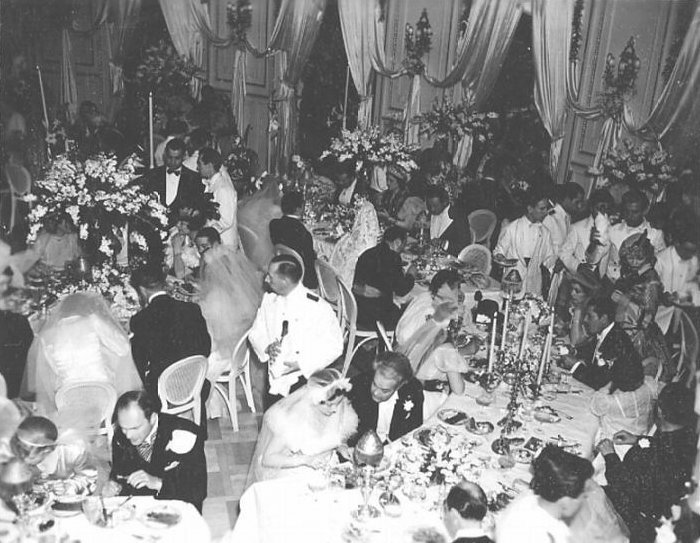 These spots were pretty much Costume Party Central in Old Hollywood—unless the crowd was especially large, in which case the Rathbones took over a whole restaurant. And it didn’t even have to be Halloween. After a long day of donning costumes, some of these folks loved nothing more than to slip into new ones at night. So let’s join them, shall we? 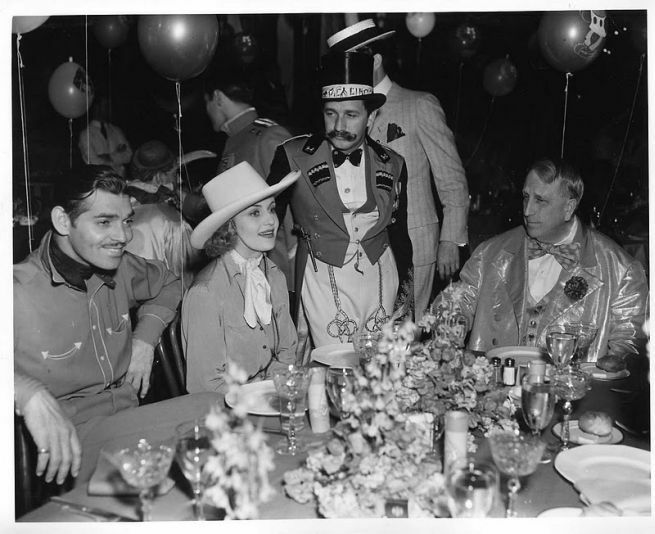 First stop: a circus-themed soirée in Santa Monica with Clark Gable, Carole Lombard and Mervyn LeRoy. 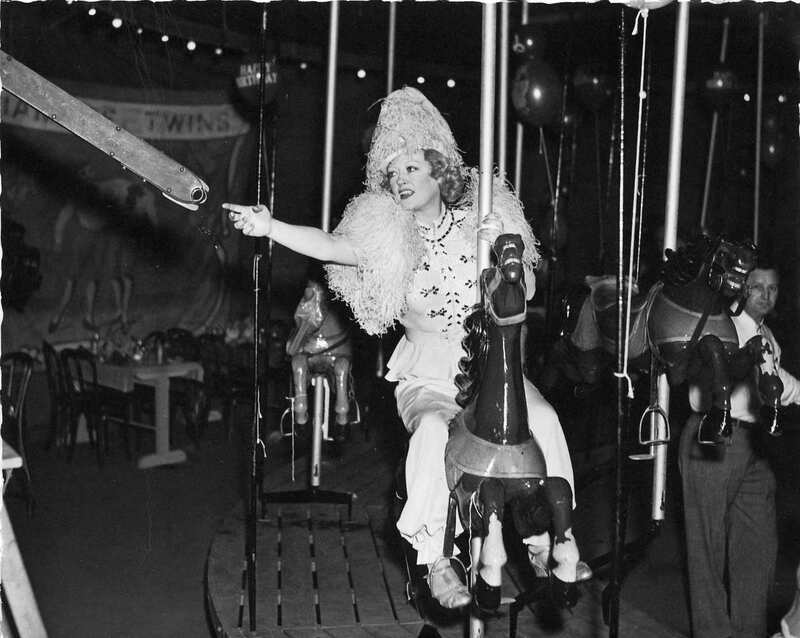 And what big-top bash would be complete without a full-size carousel from Warner Brothers? 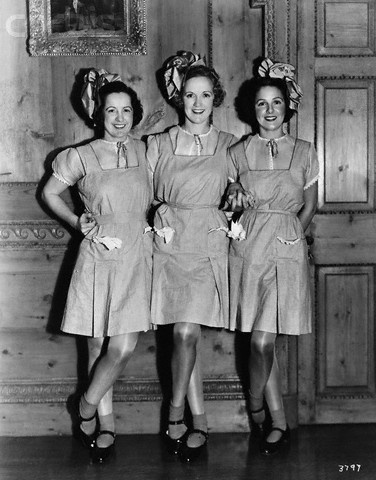 Marion gave it a go before dining with Claudette Colbert. For her Alpine bash, I’m not sure if Marion brought in any actual Alps. 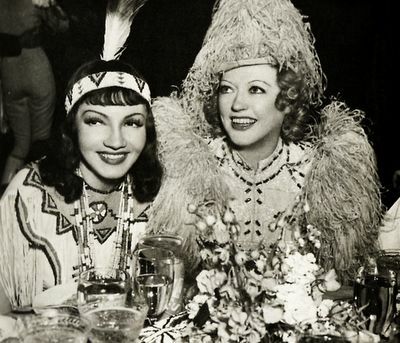 But she did get Gloria Swanson, Jean Harlow and Harpo Marx into the spirit of things. 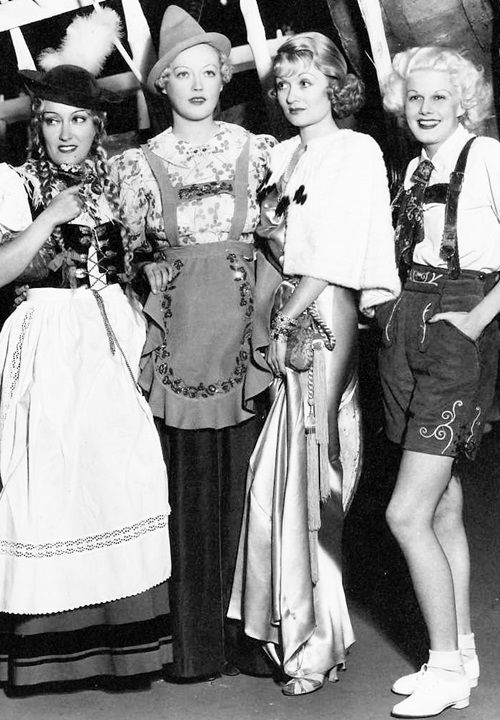 Still, no power on earth could force Constance Bennett into a dirndl. 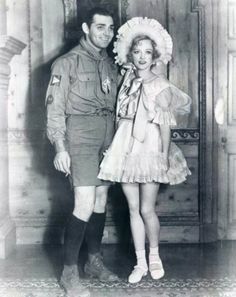 Clark Gable got in touch with his inner Boy Scout at the kid-themed party up San Simeon way! 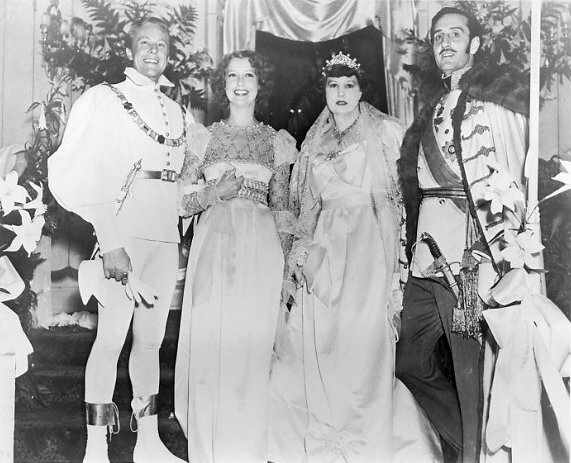 And he brought most of MGM with him, including the Talmadge sisters, Joan Crawford and Doug Fairbanks Jr., and Norma Shearer and Irving Thalberg. 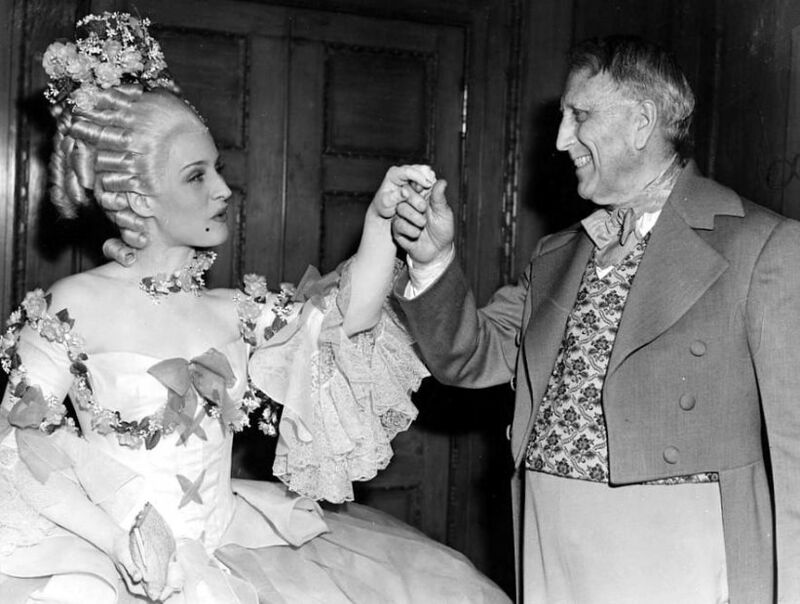 Norma got to keep her head as Marie Antoinette at a costume party for W.R.’s birthday, where the guest of honor danced with Jean Arthur. 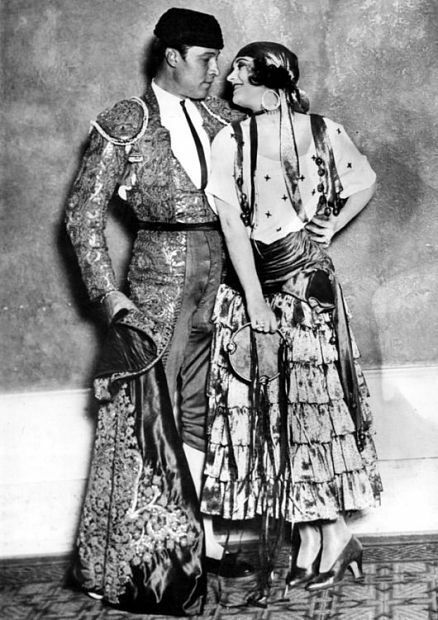 …but Rudolph Valentino and Pola Negri outdid them all. 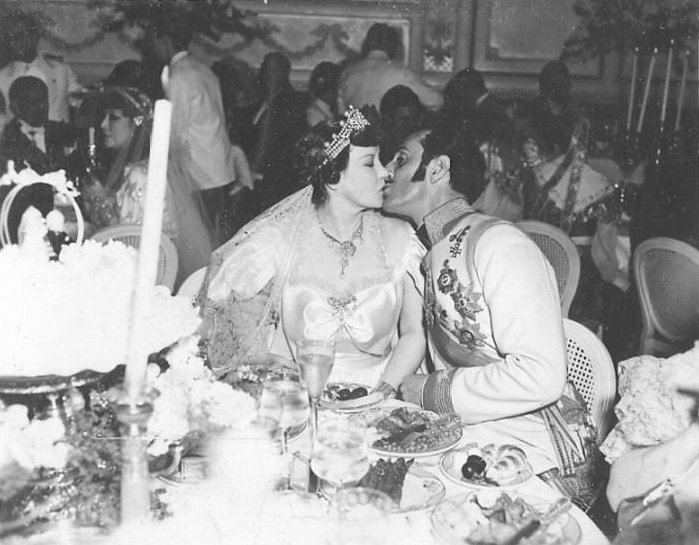 Speaking of Basil and Oudia, the duo were dubbed “Hollywood’s most successful party-givers” by Life magazine. 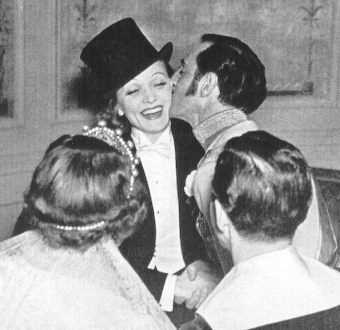 And in 1937, for their 11th anniversary, they invited 250 of Hollywood’s finest to celebrate with them at the Victor Hugo Restaurant in Beverly Hills (which later became designer Adrian’s costume studio). 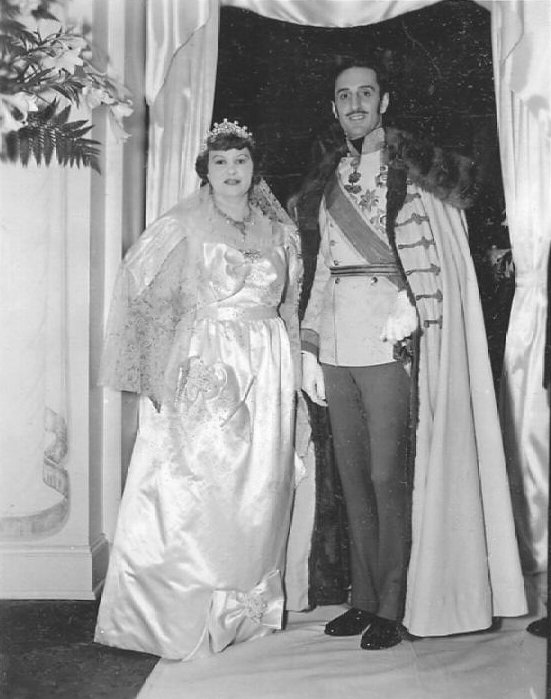 Greeting their guests as Emperor Franz Josef and Empress Elizabeth of Austria, the couple issued just one small edict: that their guests arrive dressed as famous couples. 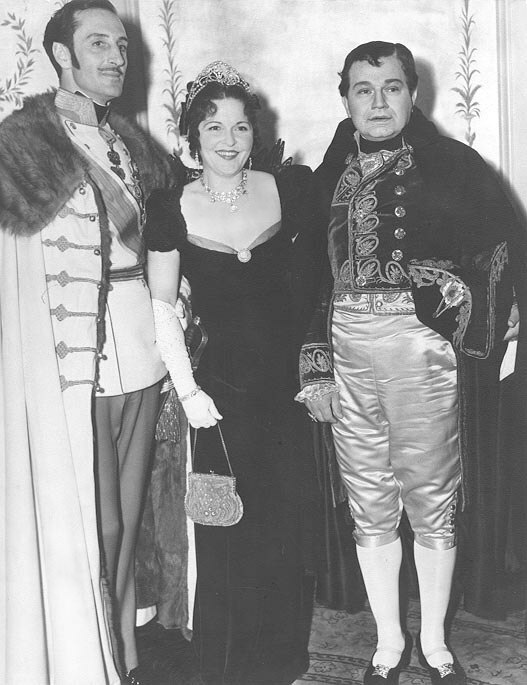 Gene Raymond and Jeanette MacDonald showed up as Romeo and Juliet, while Edward G. Robinson and his wife Gladys came as Napoleon and Josephine. 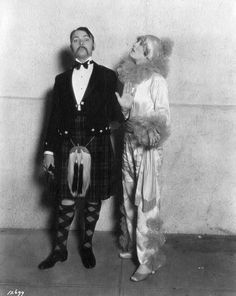 …and Myrna Loy and husband Arthur Hornblow. 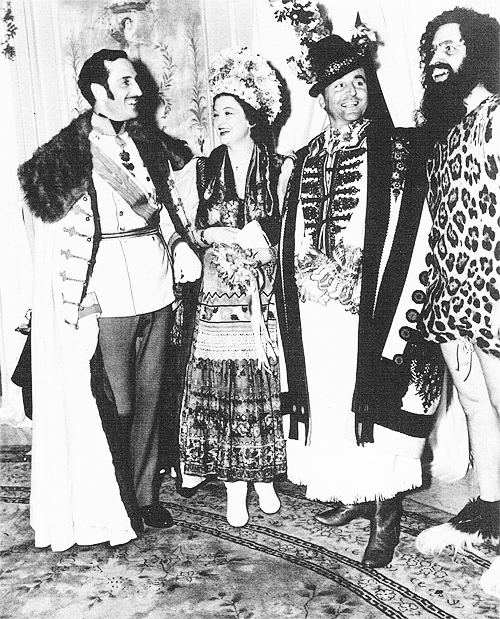 And yes, that’s Frederic March in a leopard skin—he and his wife, Florence Eldridge, came as a cave couple! 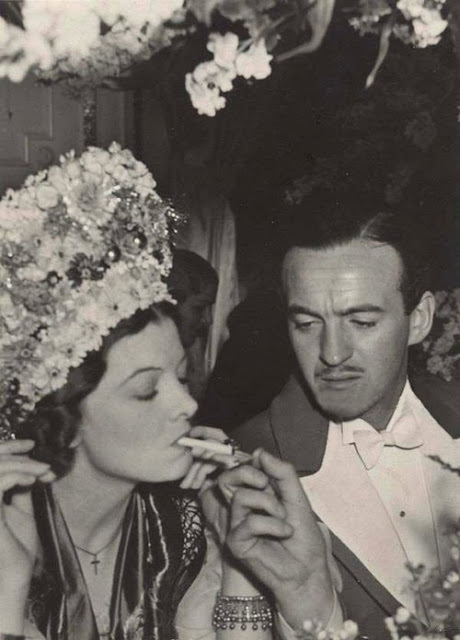 David Niven opted for something a bit more sedate, looking very much like, well, David Niven. Now that everyone’s seated for dinner, let’s scan the crowd… is that you tucked away in the corner? 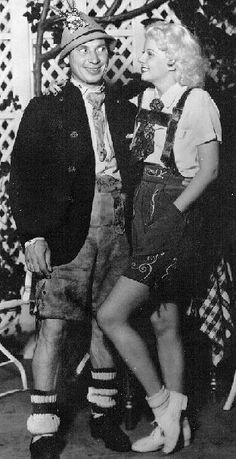 TINTYPE TUESDAY is a weekly feature on Sister Celluloid, with fabulous classic movie pix (and usually a bit of backstory!) to help you make it to Hump Day! For previous editions, just click here—and why not bookmark the page, to make sure you never miss a week? 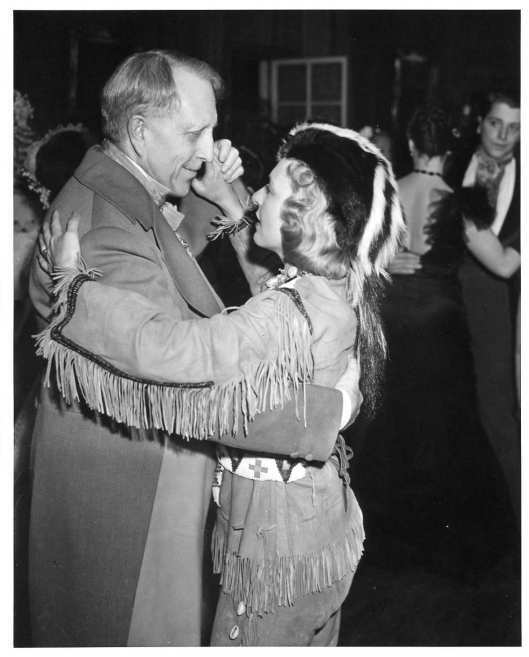 Boy, did they love dressing up. Actors of course! Great pictures.